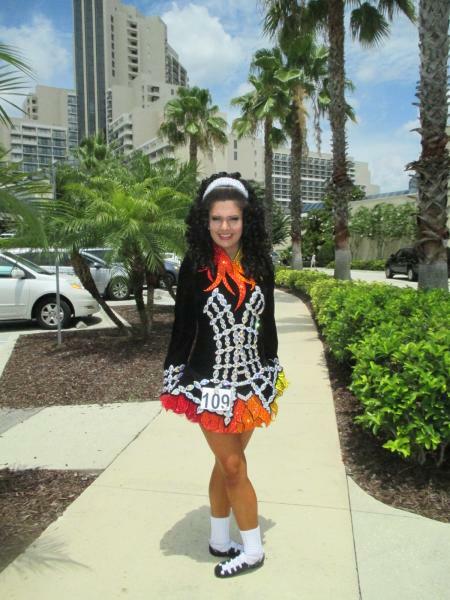 dance.net - Celtic Star - $1800 OBO (10242073) - Read article: Ballet, Jazz, Modern, Hip Hop, Tap, Irish, Disco, Twirling, Cheer: Photos, Chat, Games, Jobs, Events! Striking and eye-catching Celtic Star. Lots of room for let out in waist and back zipper and also let down, if needed. Full length front & back: 32"
Shoulder to shoulder back (at top): 13"